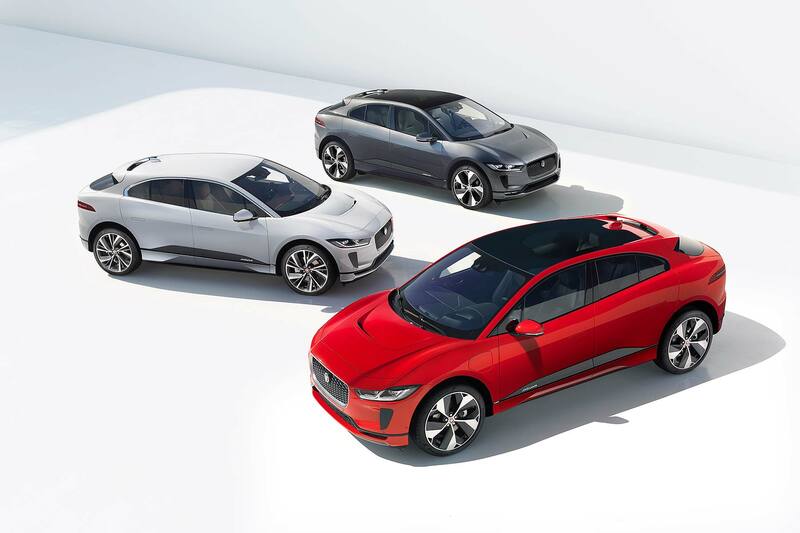 The new Jaguar I-Pace is a purpose-designed electric vehicle that, with prices starting from £63,495, costs less than any Tesla currently sold in the UK and is open for orders from keen early adopters right now. It’s no exaggeration to call the I-Pace a landmark car. In launching a bespoke EV SUV, Jaguar has beaten Audi, BMW and Mercedes-Benz to market to challenge Tesla. It’s also ahead of the Porsche Mission E, despite that car being first shown as a concept back in 2015. 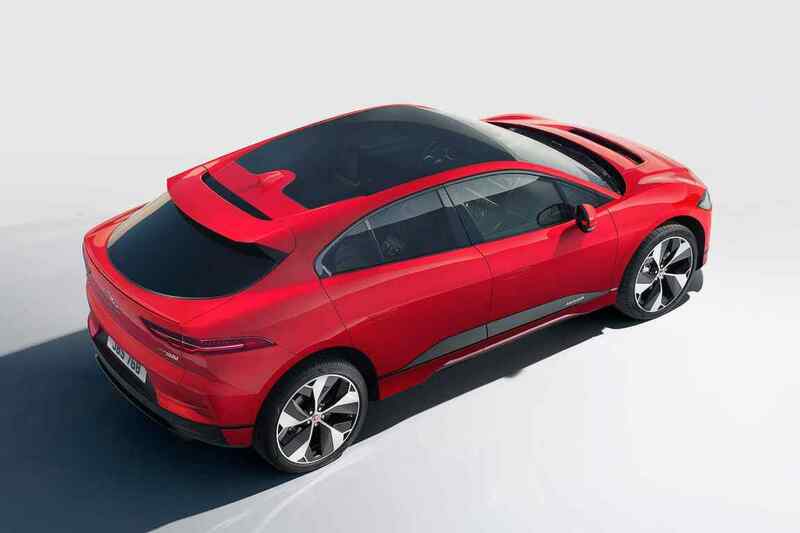 Jaguar revealed the I-Pace Concept in late 2016, and designer Ian Callum is quick to point out the production version is yet another Jag that is little-changed from the original show car. At 4.6 metres long, the I-Pace is similar in length to a Jaguar XE, but the firm is claiming large-SUV levels of room inside. Thank the cab-forward design for that, which Callum has intentionally accentuated because there’s no need to accommodate an engine up front. It’s the exact inverse of the classic ‘long-bonnet’ Jaguar E-type look, but one the firm believes is still authentic. It’s been inspired by the Jaguar C-X75 supercar, which starred in a James Bond film but sadly never made production. The I-Pace is its spiritual ancestor. The interior is also unlike any other modern Jaguar. It’s a massive (and much-needed) step on for the firm’s interior design language, offering the first application of the JLR Touch Pro Duo infotainment system first seen in the Range Rover Velar, plus the option of textile upholstery from Kvadrat. 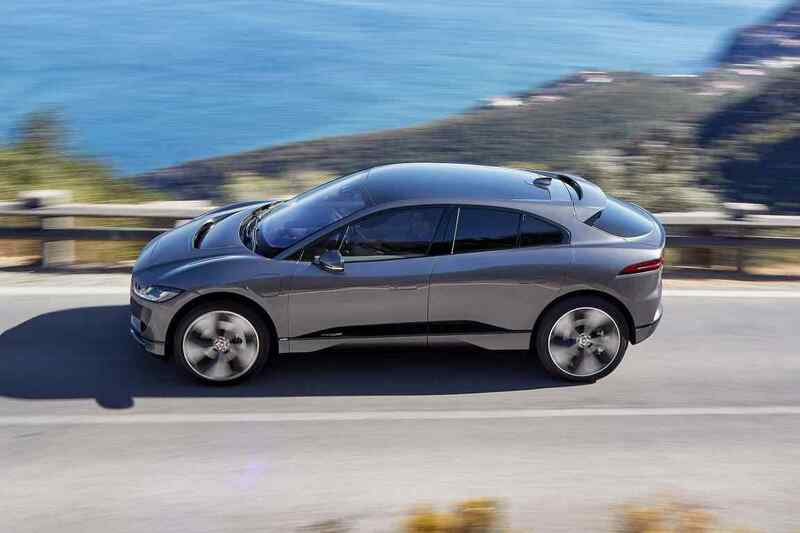 The I-Pace is a full five-seater, with 890mm of rear legroom and a whopping great 656-litre boot, which stretches to 1,453 litres with the seats down. There’s even an extra boot in the front, which takes 27 litres – just enough to house the car’s charging cables. Ah yes, the batteries. The I-Pace is launched in 90kWh guise, with the lithium-ion battery promising a 298-mile range under the strict and more realistic new WLTP testing regime. 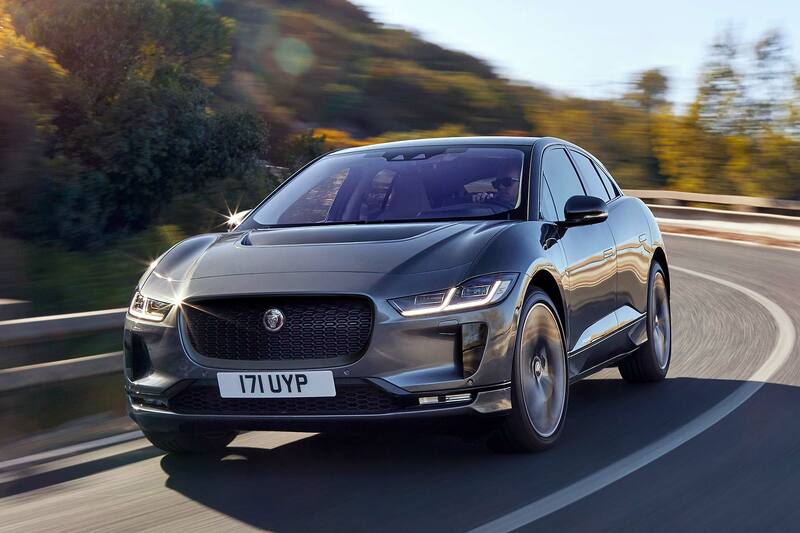 Jaguar has no end of stats related to charging time – from 0-80 percent in 10 hours using a 7kWh home wall box, 0-80 percent in 85 minutes using a 50kWh fast charger… and the promise of 80 miles’ extra range from a 30-minute boost with a similarly fast charger. Powering it are two Jaguar-designed motors, one front and one rear. The total system power is 400hp (hence the EV400 name), which is sufficient for 0-62mph in 4.8 seconds and a 124mph top speed. 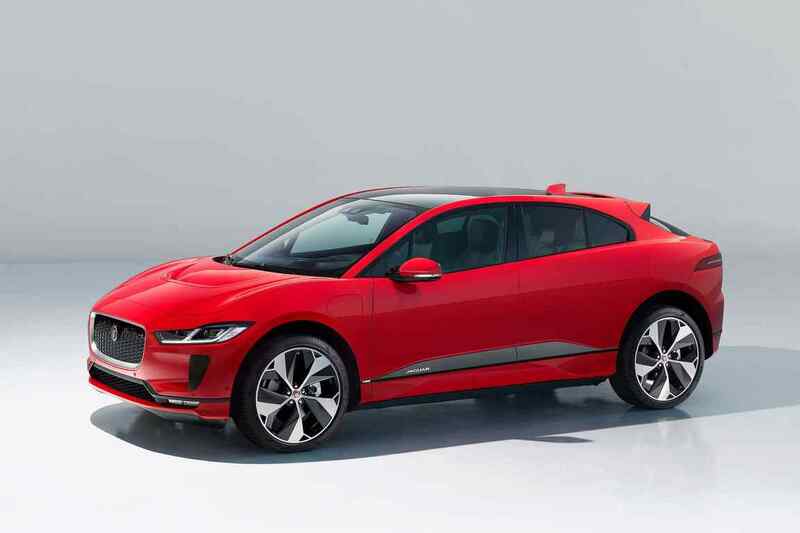 The base Jaguar I-Pace EV400 will an S trim line. Jaguar will also sell it as an SE and HSE, plus an ultra-plush First Edition launch model, pictured below. Jaguar hasn’t released any kerbweight figures, but does confirm the I-Pace is all-aluminium, and boasts a 50:50 weight distribution. It’s also the firm’s most rigid car ever launched, which further bodes well for handling and dynamics. The battery is mounted low down in the platform, centrally located, to give a low centre of gravity. Double wishbone suspension up front is supported by the Jaguar Integral Link rear axle. Optional air suspension with configurable Adaptive Dynamics will add further ability. The I-Pace even has an EV-specific sat nav system, which looks at the topography of the planned route, plus driving style data accumulated over time, to calculate personalised EV range readouts. They give “exceptional accuracy for maximum driver confidence”. It’s the first Jaguar to offer wireless over-the-air software updates, too. Lastly, because it’s a car for early adopters, Jaguar has created an Amazon Alexa Skill specific to the I-Pace. Ask an Alexa-enabled device whether the I-Pace is locked, or what the charging level is, and Alexa will tell you.